Paloma, our motorhome is still parked with the volunteers in La Spezia’s dockyard area, we did a quick search around the area and most of the other campsites or Sosta are charging €20 upwards, so being budget travellers (read tight) we opted to catch the bus to the central train station as from here the cost of the ‘Cinque Terre’ card is the same as if you are staying in any of the villages. 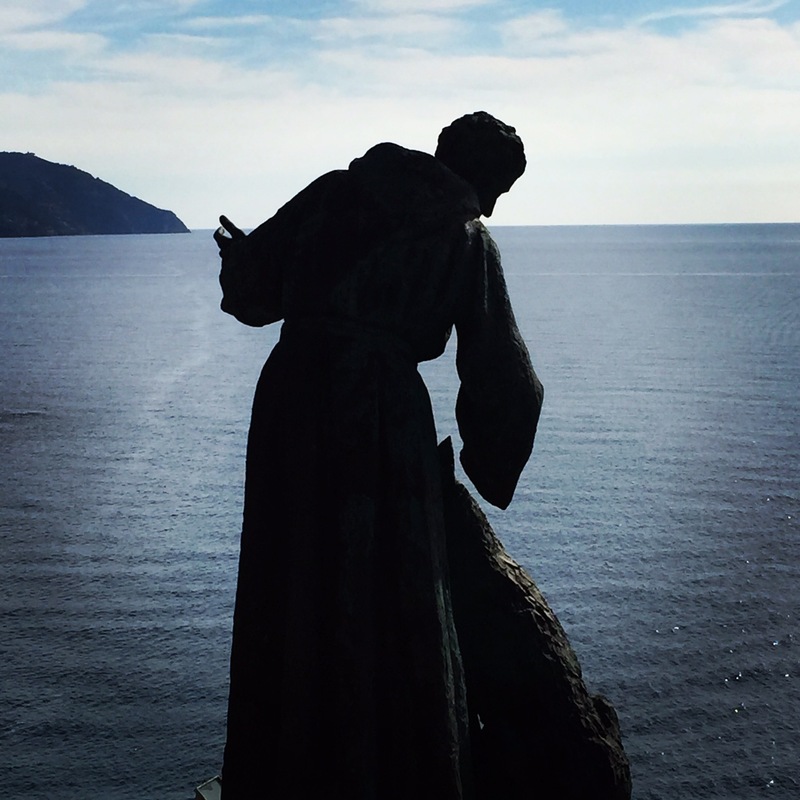 Exploring the Cinque Terre for the first time is said to be much the equivalent of a five-course meal for Italophiles. Each pastel-painted town nestled in the jagged seaside cliffs is a delectable, tantalizing and addictive exploration experience. 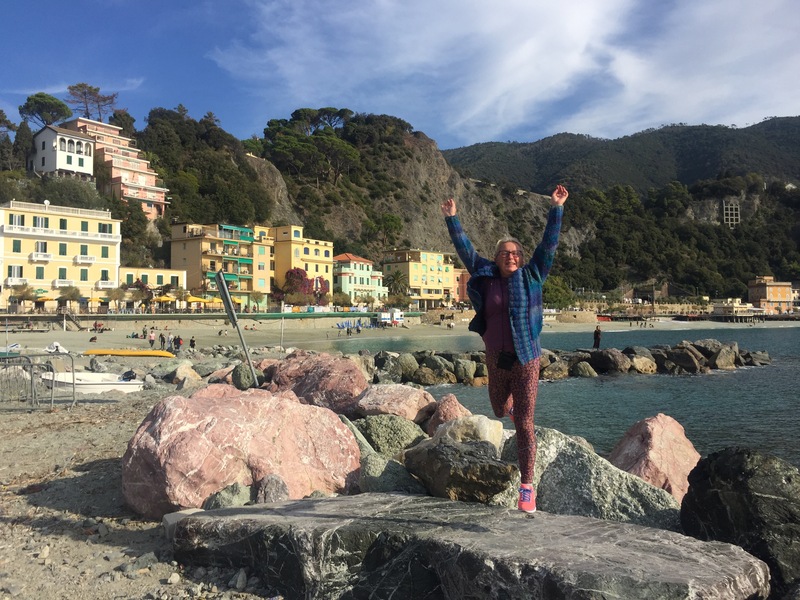 So with our expectations building after the amazing seaside town of La Spezia, we were almost giddy with excitement! 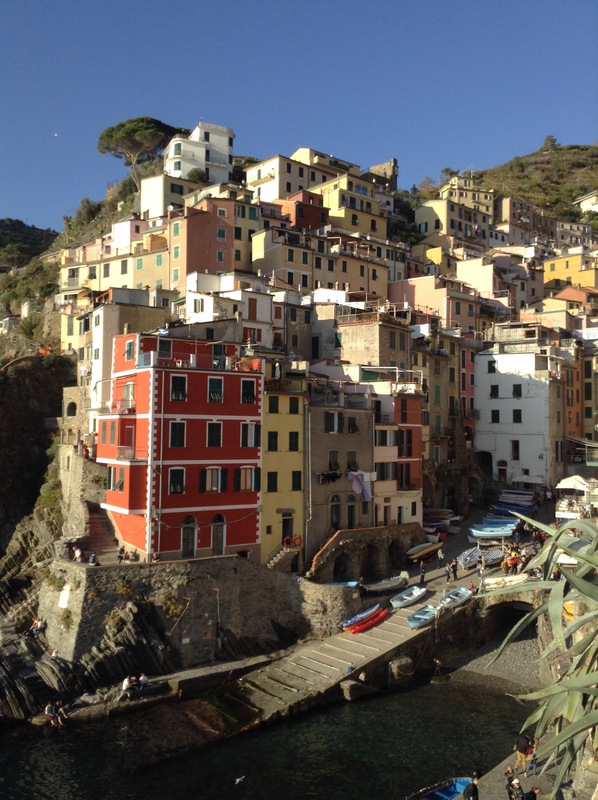 The Cinque Terre is actually a national park, a protected waterway and a Unesco World Heritage site (yep another one) . Most vehicle traffic is restricted inside the villages. So this explains why the area is preserved so well and has a way of transporting you to simpler times from a bygone era. Climbing aboard the train, I had such high hopes, but there wasn’t much of a view, it was tunnel 95% of the way with a brief glimpse of a glorious ocean for only a few seconds. We jumped off at the station and so did most of the train. Fearing the worst we exited in the brilliant sunlight and thankfully the crowd had dispersed quickly. In front of us the crystal clear water that surround Monterosso a great start of a town that is made up of an old town, a new town, lots of sandy beaches and a long seaside promenade suitable for well promenading. 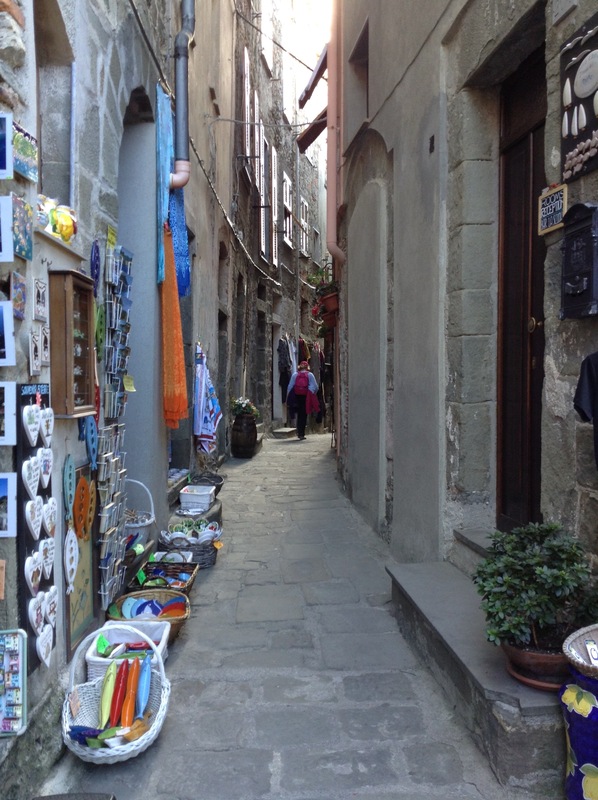 If you want to avoid stairs, hills and have a more “resort” feel this is the village for you. 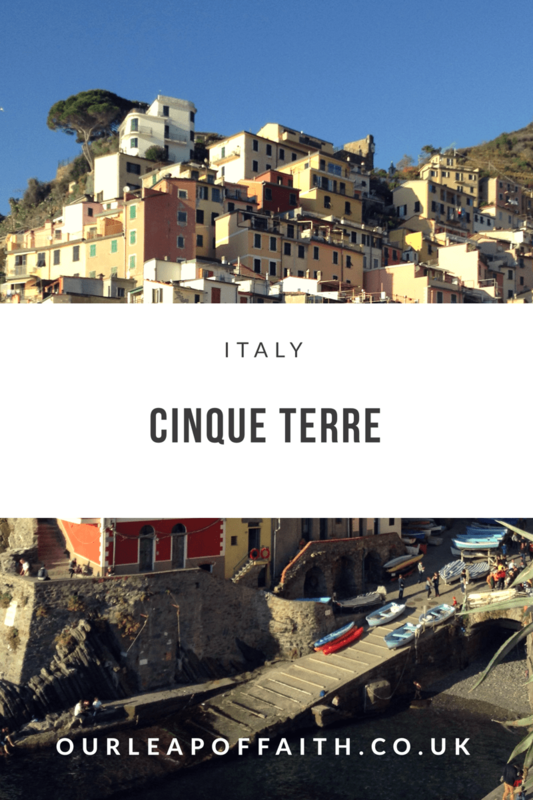 Luckily for us the ‘Cinque Terre’ card means we could take the train from station to station and hop off and explore the towns for as long as we like! 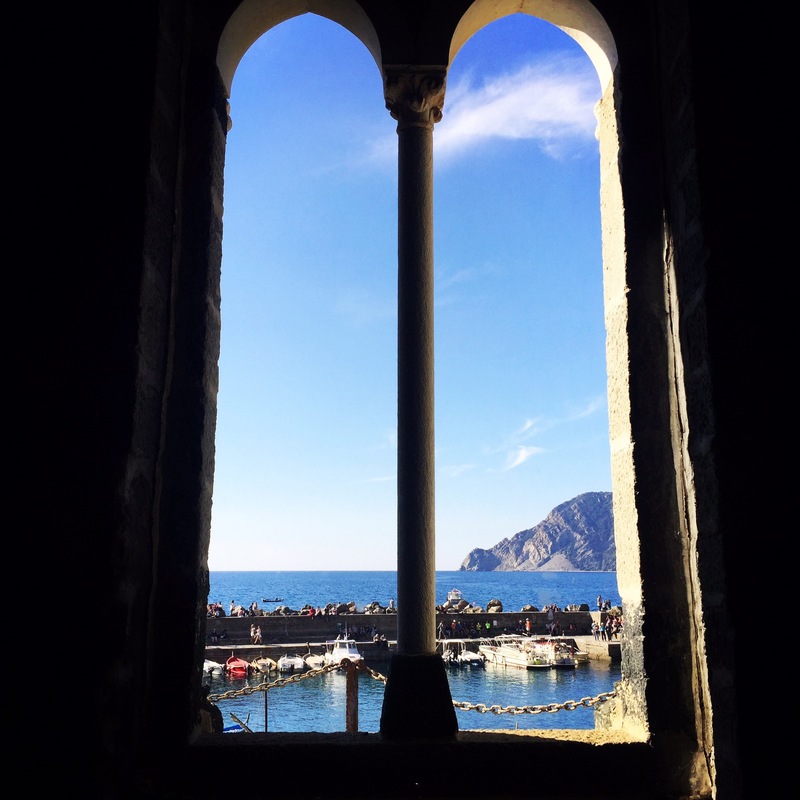 Next up the incredibly photogenic Vernazza, this is a beautiful one-street town with a church built on the water. She has a castle, the remains of the old wall that protected against pirates and the most gorgeous waterfront piazza you can imagine. 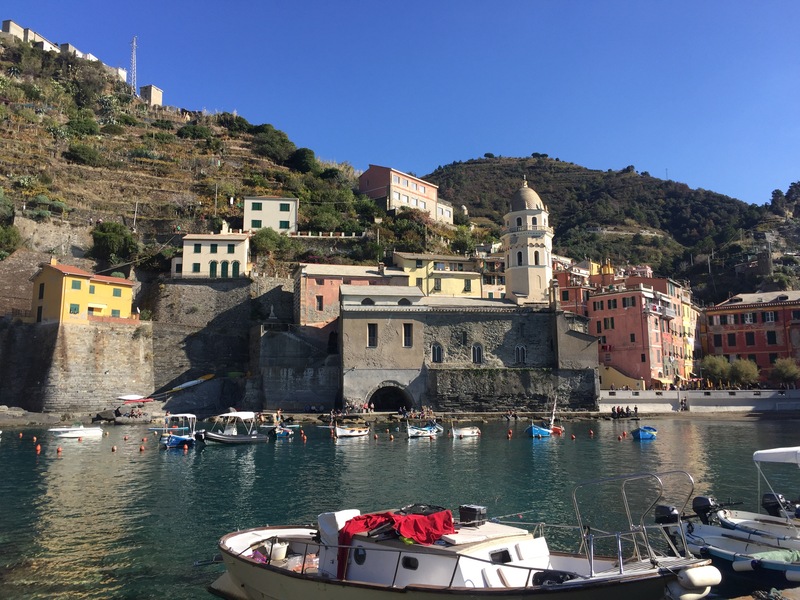 After a bite to eat……..
Corniglia is the smallest village, perched far above the ocean on the cliffs, so not really one of the fishing villages. From the train station, to arrive in Corniglia you’ve gotta climb up the 365 steps to reach the centre of town, but OMG the views, the poor camera battery pack up having taken so many shots. 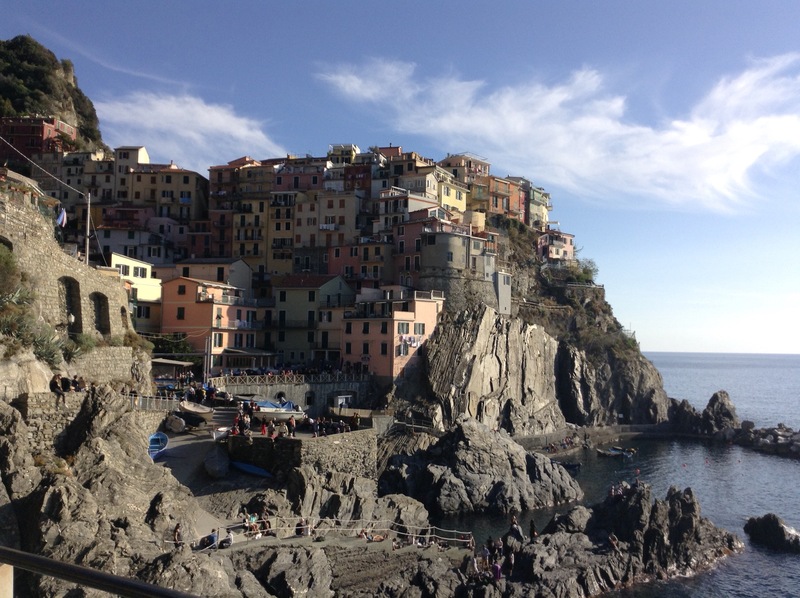 Back down the steps and onto the train …..
Manarola. It’s also a one-street town, with a small harbor where you can swim. 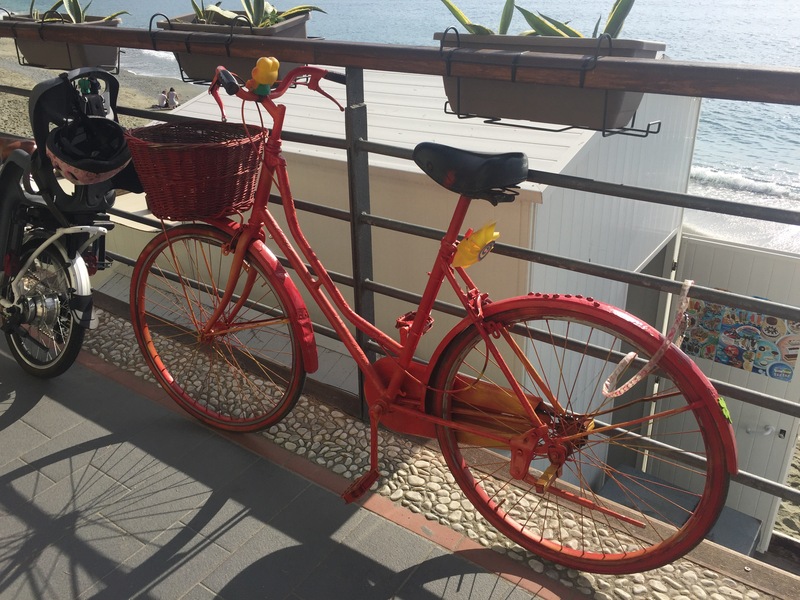 Another incredible place and this one has a more grown-up, chill vibe, perfect for relaxing. Last and very much not least……. Riomaggiore it may only have one main street, but the chilled vibe was replaced with an authentic Italian family vibe, being Halloween all the local shops and bars were giving out sweets for the costumed youngsters. 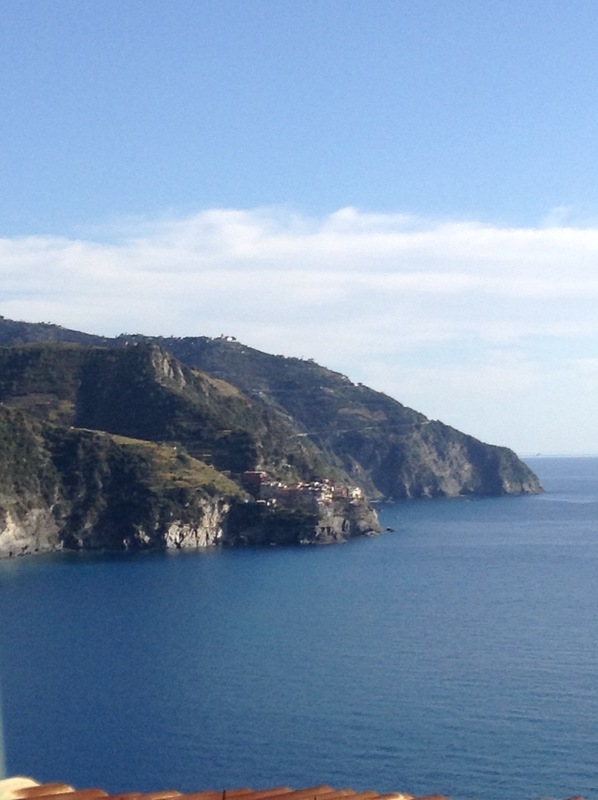 A little passage lead us through to the harbour, and rocky beach, more photos, even more dreamy views. Finally arriving, only to realise we had just missed the bus back to the camper stop and the next one was a good 45 minutes away. 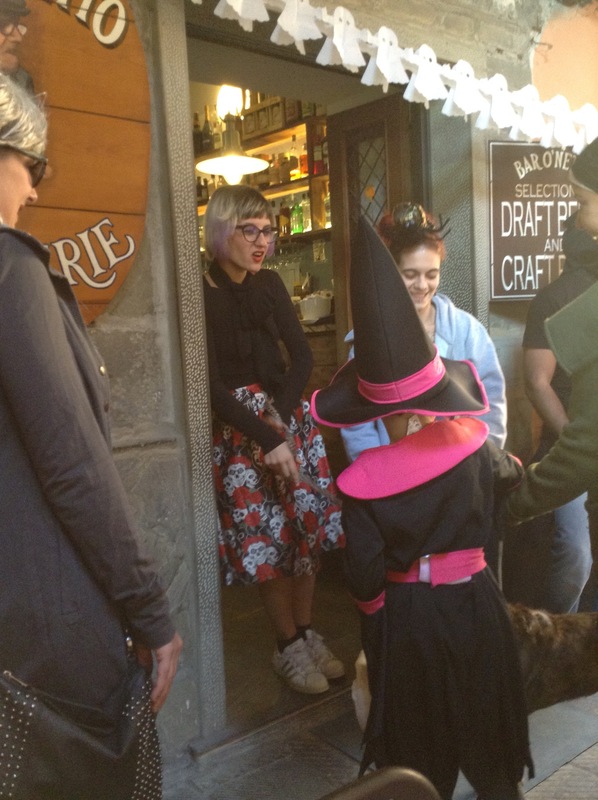 Now in England I’m not sure you would walk around a city you don’t know, but here it was fine, the city was alive with Halloween celebrations and music at every corner. Back in Paloma and Michele is complaining that her legs and feet are aching – imagine what we’d have been like if we did do the 5 hour hike !